Plymouth, Brixton, Yealmpton, Newton Ferrers, Modbury, Kingsbridge, Salcombe, Ivybridge Yelverton, Tavistock, Liskeard, Saltash, and surrounding areas. We pride ourselves on our ability to install with the minimum of wires showing, we are happy to discuss various options with you. Can I have an alarm if I have pets? 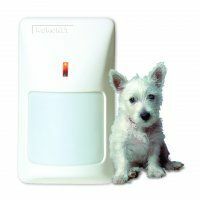 Yes, we can install "pet friendly" detectors designed to ignore small dogs and cats, alternatively we can design your system with designated pet areas. If I have a power cut will my alarm system still work? All our systems are supplied with a battery backup to power the system in an event of a power failure. What if I have a fault with my system? Provided your system is kept under our preventative manintance scheme, we are happy to investigate any faults or false alarms on your system. My insurance comany is asking for a regular service on my alarm. Please feel free to contact us to discuss your exact insurance companys requirements, as each insurance company, may have differenct requirements, and it is important to fully comply with your insurance company.